This compact cucumber is ideal for containers or hanging baskets. Its short, hardy vines produce slender, dark green fruits 7 1/2" long. It's prolific and great in salads or plain. Resistant to Cucumber mosaic virus and scab. Cucumber, Spacemaster is rated 4.1 out of 5 by 10. Rated 5 out of 5 by Orchidblonde from Delicious I bought the seeds a year ago. I tried them in smart pots, then the large Colorado hail obliterated them. Nonetheless, I planted one seed next to the pickling cucumbers in the ground this year. They have done amazing. I have enough to give to neighbors and make salads almost every night. Rated 4 out of 5 by Tara Jean from Very prolific Planted four of these in a small space in the garden and two in pots. Those in pots barely produced. I gave one plant to my dad planted in a pot and he got two cukes from it the whole season, that's all. The ones in the ground in the garden were small plants that can grow straight up on polls to a height of about 4 feet with one or two smaller side tendrels I also staked. They all fit in about four square feet of space and I got enough to feed my entire family of 5 cucumber salad every night for four months with some left over. That's awesome production for a plant about half the size of a regular cuke plant. BUT by the end the summer they were overcome by powdery mildew which slowed them way down. I only treat with vinegar water because I grow organic, and couldn't defeat it and my plants succumbed. 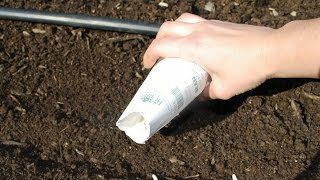 The plants stop producing about 4 weeks after they start, so plant them in waves. I start them indoors and rip the older ones out when they peter out. The young ones grow so fast they start to produce quickly. One more note: The ends of these can be bitter. I cut them off about a centimeter in to get rid of that and the middle is fine and tasty. They are at their best when harvested at less than 7/8 inches. If they get longer than that, they go seedy inside. I'm most definitely growing these again this year. Anyone know a good organic powdery mildew cure? Rated 3 out of 5 by Diana2016 from Not like the picture Cucumber, Spacemaster I planted some in wine barrels, some in raised beds and some in a huge tree planter. I was expecting to get dark, smooth, slender, salad cucumbers like those in the picture. They were very prolific, but they were all pickling cucumbers. I made a couple of jars of refrigerator pickles then pulled them up and replanted. Rated 5 out of 5 by Lb975 from Flourishing in Florida I grew these from seed and the plants are the healthiest in my raised bed. They are constantly covered in flowers and a favorite for bees. There are many cucumbers growing very quickly...ill be inundated soon! Only complaint is the sharp spines on the fruit. 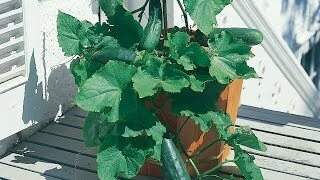 I have never grown cucumbers so not sure if any grow without them. They remove easily by rubbing with a paper towel but harvesting has to be done carefully! Rated 5 out of 5 by David79 from Love This Cucumber! I planted these cucumber plants in buckets and they have done well! I pick least 3 a day from just one plant! They taste very good! Rated 4 out of 5 by Neillb from Good performer Whilst cucumbers are not my things, my wife likes them. We have used this one a the sole plantinf for two years & it works just fine. Happy to be sown direct, in situ, it develops rapidily & soons starts & keeps cropping until frost (or hail) cut it down. Pickles well. Rated 4 out of 5 by lexgardener from Good cucumbers I don't understand why this seed packet is nearly $5 on the Burpee website, and yet I only paid $1.07 for the exact same packet and brand at Wal-Mart. At any rate - we grew 2 of these plants in a large flower pot last year. I sowed them directly into the soil after our last frost date. They produced both large and small cucumbers and were very tasty. I had a huge problem with cucumber beetles, but sprayed them frequently with a solution of water and Dawn dish soap, which seemed to help. This year I'm going to look into an organic commercial solution to control them. I recommend these cukes for the patio gardener and for those with a small garden space. I also liked the fact that there weren't very many of those sharp prickly spikes on the fruit. Rated 5 out of 5 by lady38 from great for large spaces too I live in Lexington,NC and we planted these cukes in our regular garden area for two years in a row. Both years we had crazy large yeilds. Its not been uncommon for us to get 9-10 inch long cucumbers that were almost equally big around! The best part was that unlike some breeds the Spacemasters never lost anything in flavor by getting to this size!